The following is a list of various websites that have materials, activities, and resources that may be helpful for dyslexics as a supplement to formal therapy. They cover the full age range from preschool through adult. Some sites are available at no cost, whereas others have a subscription fee. ABC Teach is a database of teaching resources on a variety of topics, such as science, social studies, and reading comprehension. They also have flashcards, and ESL activities. This website offers English and bilingual quizzes, puzzles, and activities that focus on grammar and vocabulary, to help ESL speakers develop their English skills. Annenberg Learner is a resource database for educators. It contains professional development and classroom resources across the curriculum, in disciplines such as art, foreign language, literature, math, science, and much more. Bookshare is the world's largest online library of accessible books, textbooks, newspapers, and magazines for people with difficulties reading printed text. The entire website is screen-reader friendly. Blast Off To Reading Is a website that provides a plethora of reading resources for dyslexics. From reading programs to free phonic apps and games, this site is great for parents who are looking for fun reading activities for their child. The resources are based on the Orton-Gillingham approach (a structured literacy approach). CDLP Online contains adult learning activities on topics such as government, housing, and money. After one reads or listens to the story, they can test their comprehension skills. Coursera is a website that contains hundreds of varied online courses from some of the nation's top universities—including the University of Michigan. The website is entirely free to use, and the courses are entirely free to take. DyslexiaMaterials offers a number of free learning resources, advice, and articles for those with dyslexia. Ed Helper offers worksheets on reading, writing, math, science, foreign languages, and more. Each subject has many subcategories, and these resources can be accessed with an annual subscription. Developed by the Reading and Writing Institute of Atlanta, Georgia, EduGameStar is designed to help dyslexics of all ages build the phonological and cognitive skills required to become a fluent reader. EduGameStar uses specially designed games to build these skills and allow the student to have a little fun in the process. The ESL Café contains resources for both students and teachers, including grammar lessons, a forum where students can post questions for teachers to answer, and a quiz center. ESL Lab offers tests to help ESL learners. When finished, the tests give final scores. Fact Monster is a large reference database for children. It's filled with information on science, math, U.S. and world history, and much more. Fuel the Brain has dozens of games, interactive activities, and printable resources to help enhance elementary skills in math, science, and language arts. This website contains a math arcade, a reading area with Mad Libs, and a word game that can be played with other FunBrain users. In addition, there are some classic games like math baseball. Fun Fonix is full of pre-made phonics worksheets and activities, as well as a create-your-own feature. GrammarBase is a free online grammar checker. Once it finishes scanning your document, you will receive a free detailed report identifying all issues and offering simple suggestions for improvements and corrections. HowToStudy.org is designed to help students be academically successful. It contains dozens of organizational tools, tips to avoid procrastination, and much more. Vocabulary words are presented with pictures, sorted either alphabetically or by topic. After reviewing the words, the website offers flashcards and word scrambles for additional practice. ipl2 is a robust reference database and public service organization. Many students, volunteers, and library and information science professionals have provided answers in the "Ask an ipl2 Librarian" section and have helped design, build, and maintain the ipl2's collections. The purpose of this guide is to create the potential for collaboration, reduce overlap of efforts, and build a stronger community. It is intended to be inclusive and informational. Learning Ally serves people of all ages who cannot read print due to visual impairments, dyslexia, or other disabilities. It contains over 70,000 digitally recorded books that are delivered through computers, iPads, and assistive technology devices. Using Lexile, kids can determine the lexile rating of books suited to their reading abilities and search other books in that range. This website is aimed primarily at ESL speakers, but may help native English speakers as well. It offers quizzes, word puzzles, image-based vocabulary games, and more. There are also audio files to help with pronunciation. This site contains several lists, phrases, worksheets, and activities to help children learn to read. This vast directory of teaching tools is a product of years of research by Rona Martin, classroom teacher. It contains puzzles, grade books, worksheets, lesson plans, and much more. OnlineCourses.com contains tons of college courses that you can take—for free—online. The courses are from the country's top universities, and the topics they cover are varied. This website contains dozens of language games that help with vocabulary, grammar, figurative language, and more. There are also speech and sequencing games and helpful links for parents and teachers. ReadWriteThink has vast libraries of classroom and professional development resources for teachers. Download lesson plans, strategy guides, and more. Scholastic contains tons of teaching resources (lesson plans, teacher blogs), student activities (grammar games, social studies stories), and games for parents to play with their children (Clifford games, a learning arcade). 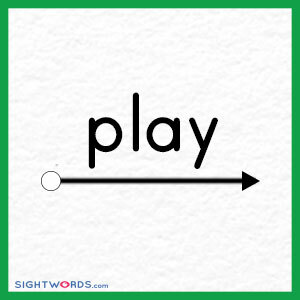 Sight Words contains free tools designed to teach sight words to kids from Pre-K to 4th grade. The site includes free printable resources, 12 fully customizable games, and different teaching techniques. Smart Notebooks are designed to help kids with special needs write properly. Special graphic lines help children write each letter in equal size, as well as leave spaces between words and between letters. SparkNotes helps make sense of confusing schoolwork. They offer book guides that contain detailed summaries and insightful critical analyses of literature, as well as guides for history, math, biology, and other subjects. Storybirds are short, art-inspired stories you can make and share on any device. Teachers and students can have free class accounts to manage students without email, create assignments, and build beautiful libraries, and artists can share and sell their art. A literacy hub to re-engage struggling teen and young adult readers. The Color is a fun website for kids to visit to find dozens of online coloring sheets. They can color anything from cars and trucks to cats and dogs. Tips for Reluctant Readers is a website made by an ambitious dyslexic girl. She offers spelling tricks, reading tips, resources, and much more to help those who, like her, struggle with dyslexia. Turtle Diary is a great website for parents and teachers to use to help kids solve problems faster. It's loaded with games and activities in all kinds of school subjects, and you can search for them by grade, subject, and topic. 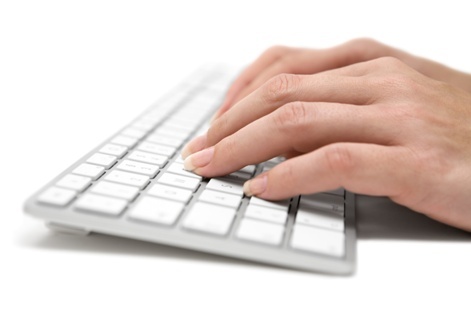 Typing study is an amazing, free learning website that is designed to help you learn and improve your typing speed and accuracy. Visuwords is a dictionary and a thesaurus that’s a great resource for writers! It allows the user to look up words to find their meanings and associations with other words and concepts. The user can produce word diagrams to see how words associate.